Update: The judging process is now underway. While Royksopp are making their official selection, Genero will also be selecting the best videos to be premiered and promoted on YouTube as part of 'Genero Presents'. Subscribe to Genero on YouTube to see the best Running To The Sea videos in the build up to the announcement of the Official selection by Royksopp. And remember to subscribe to Royksopp so you don't miss out on the official video announcement. Genero are once again very excited to be working with one of our favourite artists, Norwegian electronic music duo Royksopp, giving you the chance to make the official music video for 'Running To The Sea' from their new album 'The Inevitable End'. The selected video will be chosen by Royksopp, with the director receiving $10,000 and their video used as the official music video for Running To The Sea. Deadline for submissions is June 8, 2015, 23:59 GMT time. 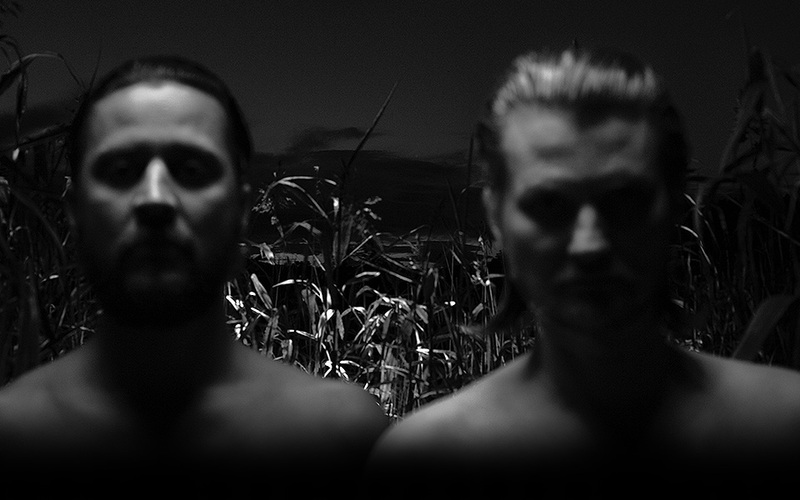 Royksopp is the first artist to be launched under our new program, 'Genero Presents'. We'll be investing heavily in Genero Presents to bring you fantastic opportunities to work with great music artists, as well as original content, film, fashion and other exciting projects. As well as the official selection, Genero and Royksopp will select the best 'Running To The Sea' videos and these will be premiered on YouTube and promoted to build an audience for your videos and to showcase the best Genero filmmakers to the world. Learn more about 'Genero Presents: Royksopp'. Since they first burst onto the scene with the release of their classic debut album ‘Melody A.M’ back in 2001, Norwegian electronic music overlords Röyksopp have only released three further studio albums. First came 2005's more experimental ‘The Understanding’, then 2009's extrovert, pop-lead ‘Junior’ followed swiftly by its more introvert sister album, ‘Senior’. That was back in 2010. Four years later, however, and following a burst of creativity instigated by personal upheaval and the general living of lives they're about to release their second album in the space of six months – following ‘Do It Again’, their collaborative mini-album with fellow Scandinavian legend, Robyn – in the shape of the multi-faceted, ‘The Inevitable End’. “We feel there's a lot of music out there that just doesn't have any identity - something that we really strive for in our music,” says Torbjørn of the time it takes between releases. “We don't feel like we're in any hurry; we intend to make music we cannot find elsewhere - which is both ambitious and time consuming” agrees Svein. “And we also want our music to have longevity, therefore we always seek to produce and engineer it in a way that steers clear of generic production trends.”. As with most things Röyksopp do there is a multi-faceted reason behind the album's title, ‘The Inevitable End’. While they're keen to point out that it doesn't mark the end of Röyksopp, they do see it as their final album. “We feel like this is a goodbye to the traditional album format,” explains Svein. “In our consecutive run of albums, we have been able to say what we want to say and do what we want to do with the LP. We're not going to stop making music, but the album format as such, this is the last thing from us.” Having now created five complete bodies of work, the pair feel like the future is open to being more experimental with how they share their music, be it with EPs, one-off singles or something more visually focused. 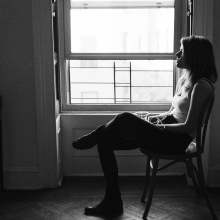 “With ‘Melody AM’ we felt like we established our own voice and take on electronic music. Then, with ‘The Understanding’, we wanted to move slightly off-centre and experiment more - without losing what is uniquely identified as Röyksopp. With ‘Junior’ we wanted to be a bit more extrovert, focusing on vocals and youthful energy. With ‘Senior’, we wanted to flip it around completely; instrumental, introvert and hidden,” continues Svein. “With ‘The Inevitable End’ we've moved into a darker subject matter, with emphasis on the lyrical content. This candid approach feels very both personal, sincere and conclusive.” “With this album it became clear we wanted to make an album in a classical sense even if it's the last one we make,” adds Torbjørn. With a story running from the opening, fuzzy electronics of ‘Skulls’ – with its teasing “if you want to ride” mantra – to the closing, fan-dedicated ‘Thank You’, this is an album to be enjoyed from start to finish; a complete story that takes you from A to Z. So while the opening track ‘Skulls’ feels like a classic Röyksopp song – all squelchy bass lines, filtered synths and vocodered, yet soulful vocals – the album also takes in sophisticated, delicate heartbreak on the Man Without Country collaboration ‘Sordid Affair’; odd, shape-shifting ambience on the Robyn-featuring ‘Rong’; bouncing electro pop on the deceptively upbeat ‘Save Me’ (featuring regular contributor Susanne Sundfør on vocal duties) and the deliriously sad, cry-on-the-dancefloor classic, ‘I Had This Thing’, one of four collaborations with Jamie Irrepressible. In fact, as with all their albums, the importance of picking the right vocalist for each song was paramount. “We always want to find the right voice matching the specific sentiment of a track,” states Svein. “And the people we've been fortunate enough to work with, are people who not only possess brilliant vocal abilities individually - they also in their own unique way, bring their own universe with them,” he continues. “We are inviting them to collide their universe into ours. It's not about having a voice for hire. We want the people we work with to feel like they can involve themselves to the fullest - it's about finding the perfect voice for our state of mind,” adds Torbjørn. At the core of the album is this universal sense of conflicting emotions and choice; in pursuit of fulfillment, how far can you go? Should one heed one's conscience or succumb to one's desires - albeit the moral ramifications? And then there's doubt and denial. And the battle between reason and desire, that's summed up perfectly on ‘I Had This Thing’ as Jamie softly flits between the lines “I still don't know just what I've done” and the emotional final mantra of “I never meant to let you go” while a cavalcade of electronic textures descends around him. But while the lyrics deal with darker themes, this isn't a musically introspective album. This is a cohesive, fully realised electronic symphony from a pair of production geniuses constantly looking to innovate. “’Senior’, for example, is very introspective; both secret and raw production-wise. ‘The Inevitable End’, on the other hand, has a very clean and crisp production in comparison,” explains Svein. “We wanted this pristine surface to act as a contrast to the grittier subject matter that lies beneath. At first listen, one might get the impression that T.I.E is a place of solace and bliss. But if you pay attention to the lyrics, you'll tap into the somber undercurrent running through it all - as if the music is bleeding. This is not a dance album at all. This is home listening as far as we're concerned. It's headphones music.” All you need do is pop them on, sit back and let Röyksopp take you into their own special world again. If your Video is a Client Selection and you receive a Payment, you transfer full rights to the Client (sometimes the Client may be Genero). If your Video is not a Client Selection, Genero have the right to select your Video (Genero Presents Selection) to be uploaded to YouTube and other platforms. For Genero Presents Music Briefs, a Non-Exclusive Period of 6 months applies, and for Genero Presents Original Films Briefs, a Non-Exclusive Period of 2 years applies. During the Non-Exclusive Period, if Genero monetise your video on YouTube or any other platform, Genero will share 50% of their net revenue with You (Monetisation). For clarity, if Genero does not earn any revenue from Your Video, no Monetisation will be paid to You. Note, in most instances, Genero are not able to monetise Videos from Genero Presents Music Briefs. During the Non-Exclusive Period, you are not permitted to sell or deal with your Video in any way, post your Video on other platforms or take down your Video from Genero Presents unless it is sold via the Genero Video Store. During the Non-Exclusive Period, you are however permitted to re-purpose your Video, but you must first remove in full, any Genero or Client Assets. Beyond the Non-Exclusive Period you can decide to either opt-out of Genero Presents and request your video be taken down from Genero by emailing us, or keep your video on Genero and also receive Monetisation if applicable and as described above. Beyond 5 years, if you have not opted-out of Genero Presents, sharing of Monetisation may be discontinued, solely at Genero's discretion and to allow for changes beyond Genero's control. All periods commence from the YouTube upload date. If you are entitled to Monetisation from your participation in Genero Presents, it will be subject to minimum revenue thresholds and payout amounts, which may vary between different partners and platforms. If your Video is not a Genero Presents Selection you retain all rights to your Video and can request for it to be taken down from Genero. The Client Selection must be finalised and communicated to Genero within 30 days of the Closing Date. Client will premiere the best Genero Presents Videos plus the Client Selection(s) on their social media channels. Client will credit the Filmmaker and Genero on YouTube and any other platform where the Video is used. Client guarantees that a Client Selection will be made, as communicated in the Brief and Client Page. A man living in decided isolation is haunted by memories of his estranged daughter. Format: Super16mm and Super8mm film. Subscribe to Genero on YouTube and watch the best 'Running To The Sea' videos in the lead up to the premiere!